Aval bank is among the largest Ukrainian banks with 3 million customers and 1,400 branches all over the country. 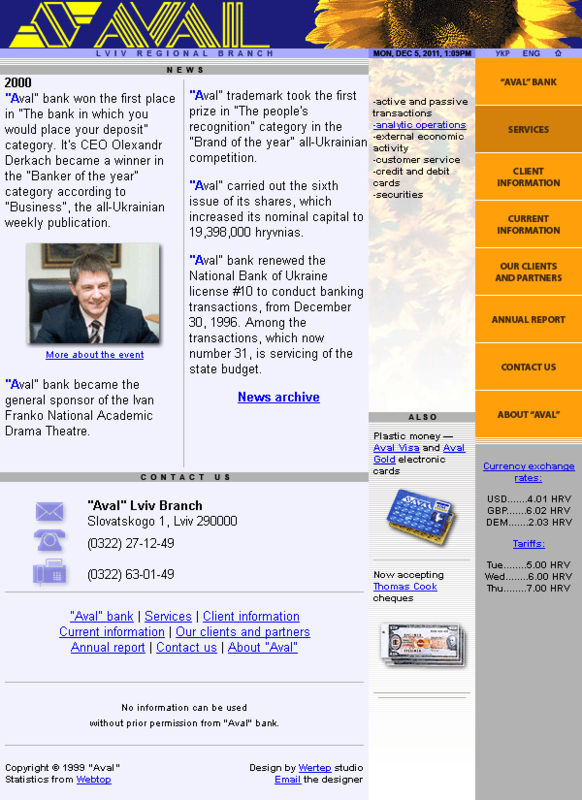 The website template in Ukrainian language was designed for Aval bank Lviv branch. However, due to the subsequent restructuring of the branch, the template never made it into an actual website. The template is stored locally on my server. Responsibilities in the project: layout, graphics, HTML, CSS. At the request of the client, the template uses imagery of the sunflower  the symbol of the bank.